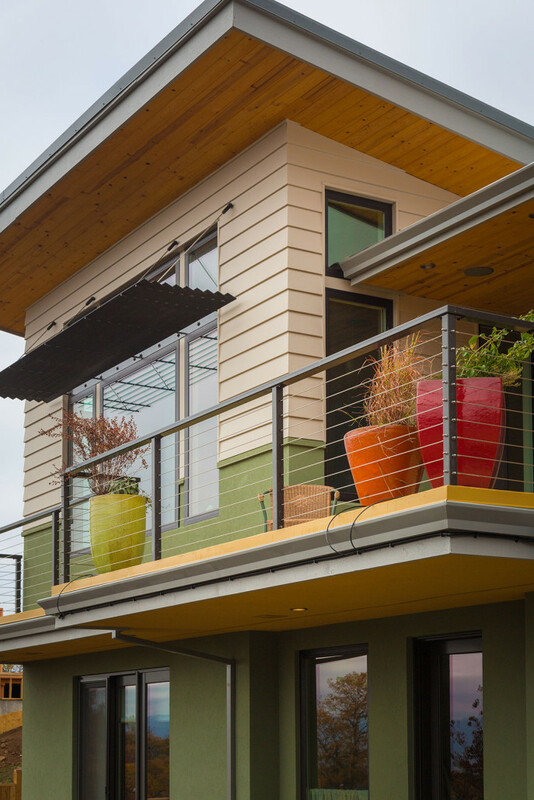 We enjoyed the challenge of integrating bold design into a hillside residential subdivision. 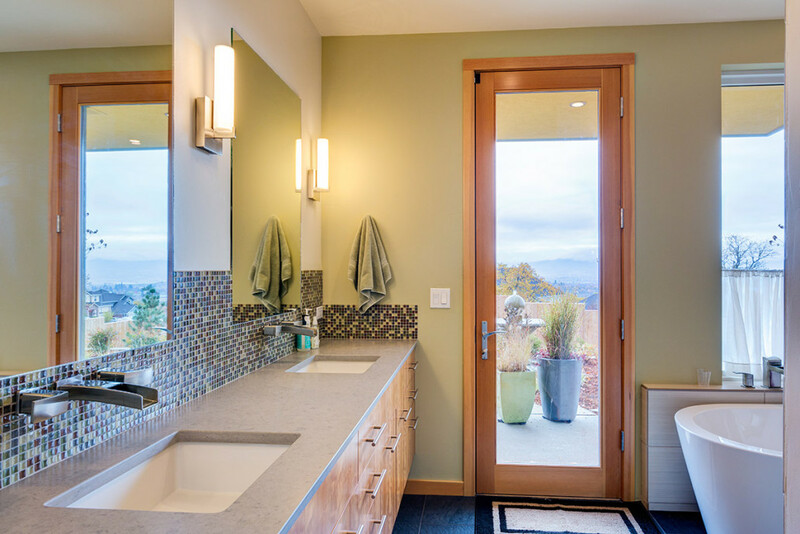 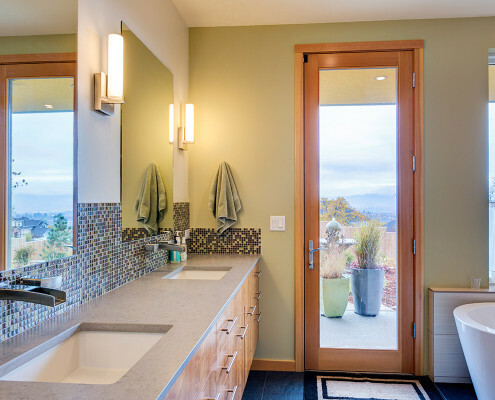 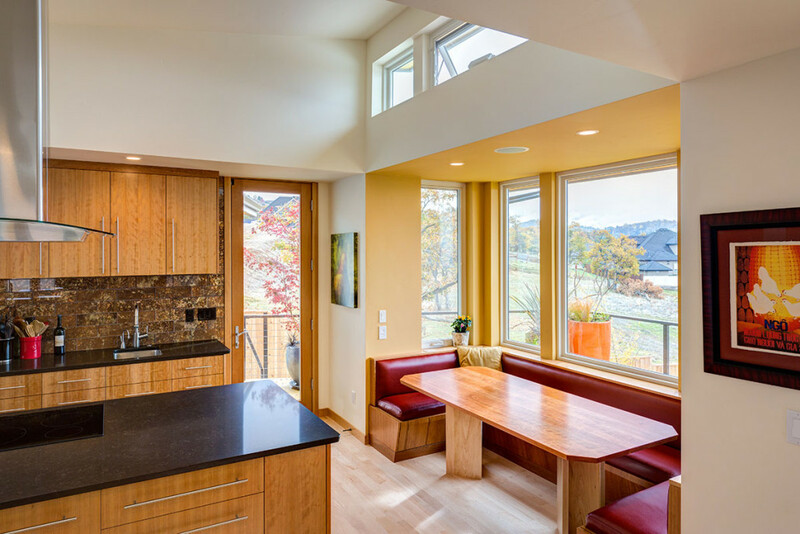 Taking advantage of passive solar benefits and accentuating the magnificent southern views of the Siskiyou mountain range, the south walls and windows were maximized. 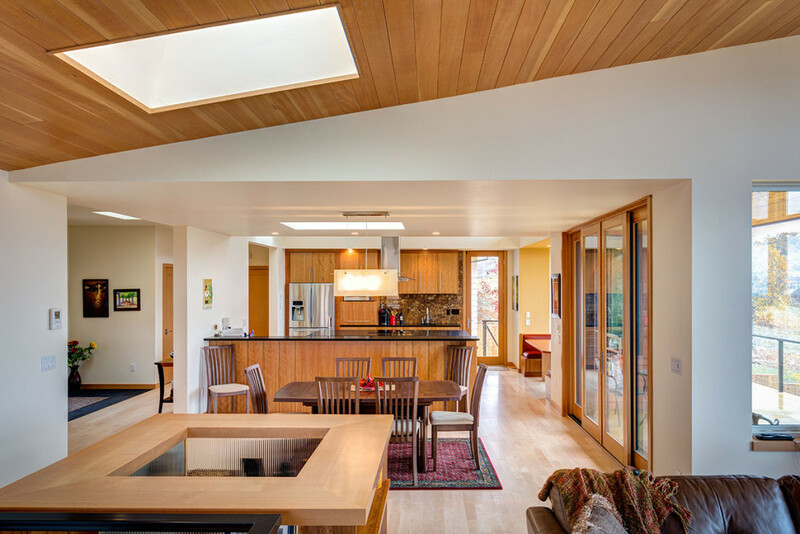 In respect to the neighbor’s existing views, the northern walls were reduced. 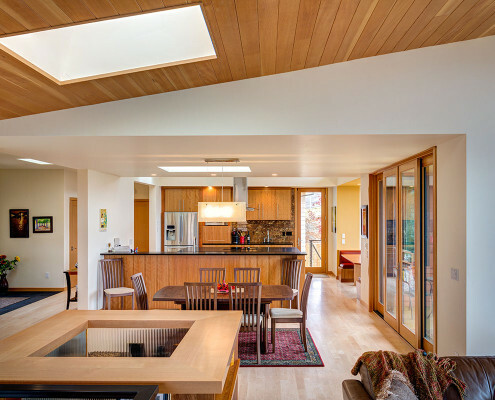 The resulting form with well defined flat and sloped ceilings distinctly defined kitchen, dining, and living spaces within an open floor plan. 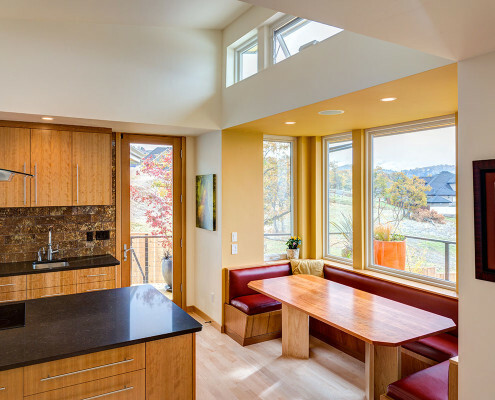 A key design feature is a generous kitchen breakfast nook anchoring a family social space and providing a “private” viewing nook from the living room. 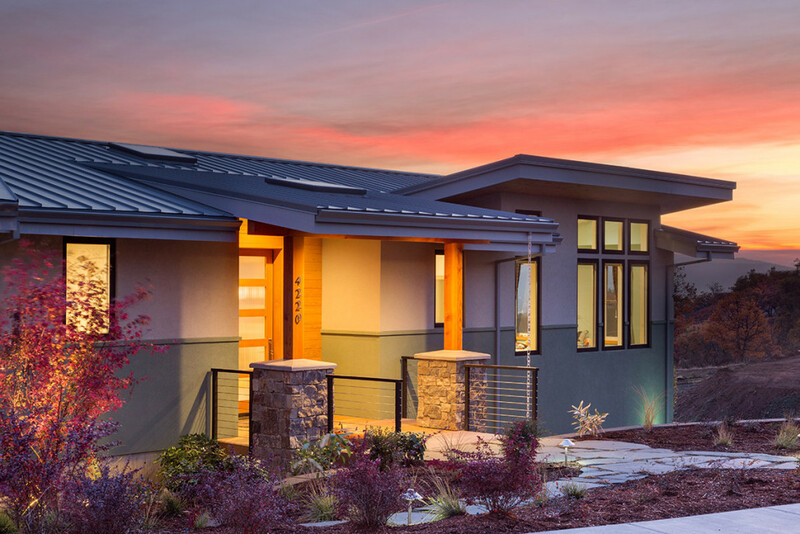 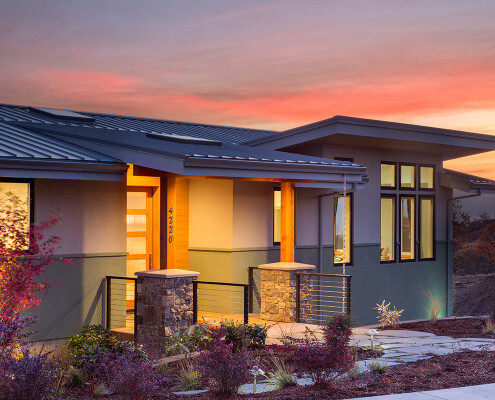 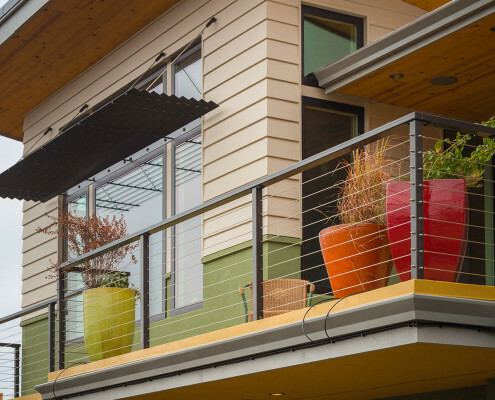 This home garnered Earth Advantage and Energy Star certifications for its heating and cooling efficiencies, passive solar design, and staggered stud wall construction for increasing insulation and thermal performance.